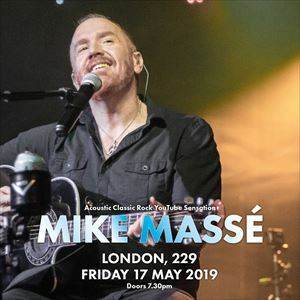 Mike Massé is an internationally acclaimed, Ovation Guitars-sponsored artist. Legends of rock, including Toto, Boston, Sarah McLachlan, Asia, and others have expressed love and gratitude for his renditions of their songs. Toto cites his cover of their “Africa” song as their favorite cover version. Mike initially gained notoriety for his performances posted on his widely viewed YouTube channel,https://youtube.com/mikemasse. The success of that channel (over 80 millions views and 230,000 subscribers and counting...) allowed him to quit his day job as a public defender and become a full-time musician.